The Active investing vs Passive investing war has been going on for years. Proponents of the active camp insist that it is better to invest with fund managers who will proactively put your money to good use. After all, they are the professionals who have deep knowledge of the financial markets and are constantly tuned in to news that will make or break your investment. The passive camp on the other hand, call out the fund managers for their high fees and sub-par returns. Passive investors utilise Exchange Traded Funds (ETFs) which track entire indices. They are cheap to purchase and own. The issue with ETFs is that they ‘merely’ track market returns. For investors looking to outperform the market, buying an ETF feels like drinking a can of warm beer on a hot day – largely unsatisfying. Fortunately, the situation is about to get better. In recent years, a new breed of ETFs have found their way into the market. Mainstream ETFs mirror indices such as the S&P 500 and the local Straits Times Index. The decision to buy and sell is taken out of the fund manager’s hands. These ETFs are market weighted, with the bigger companies in the index carrying more weight in the ETF. For example, DBS Holdings make up 12.39% of the STI Index. As a result, DBS also carries exactly 12.39% of the SPDR STI ETF’s value. Smart Beta ETFs does everything a mainstream ETF does, but with a small twist. They do the same job of tracking an index but instead of using market size to determine what goes into the fund, they use other ‘factors’ to decide how much of each stock goes into the ETF. We have written about how finance academics have largely agreed on certain Factors that have contributed to excess returns previously in “Factor Investing – 5 proven ways to invest for higher returns“. By considering these factors in the construction of an ETF, the ETF performs as if it is on steroids! Smart Beta ETFs have the best of both worlds. 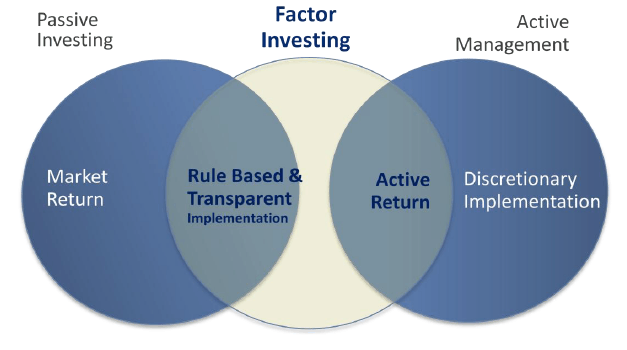 Typical of mainstream ETFs, they are low cost and transparent with their methodologies. On top of that, they boast higher returns than normal ETFs through the clever exploitation of various Factors. Do Smart Beta ETFs really work? Let us examine some Smart Beta ETFs and see how they stack up against their plain vanilla cousins. Amongst all the factors, Value is the most established and accepted. The higher the value (the cheaper the stocks), the better the returns. 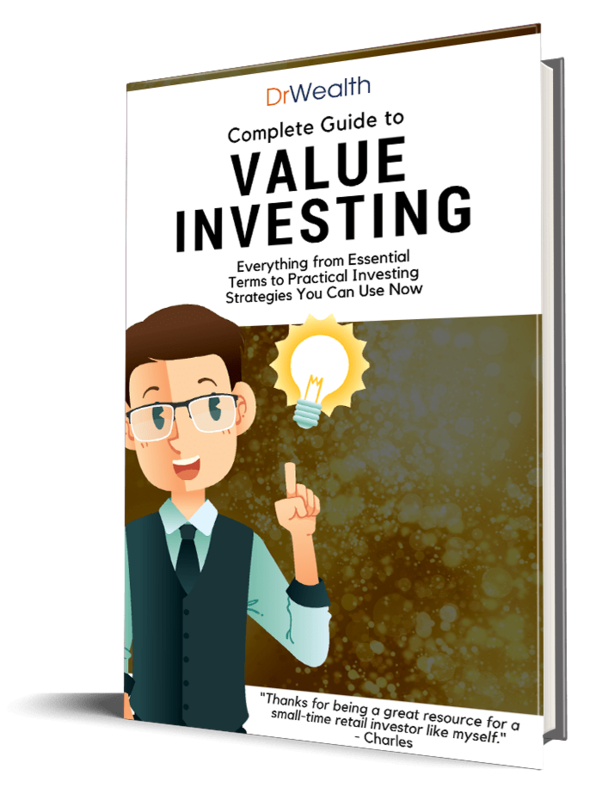 There is little argument that Value is a market beating factor. In this example, we compared two ETFs in the Russell 2000 Index stock universe. The vanilla Russell 2000 index is a small-cap stock market index comprising of the bottom 2,000 stocks in the Russell 3000 index. The Smart Beta Russell 2000 Value ETF on the other hand is constructed from the same universe but is weighed towards value stocks. Value is mainly defined by low Price-to-Book (PB) ratio. The index provider would use metrics to differentiate the value and growth stocks, making sure that the former is added as the index components rather than the latter. We chose the small cap index because we have noticed that the Value Factor does not work so well for large caps. From the chart, it is extremely obvious that the Value ETF (Green) has consistently outperformed its plain vanilla cousin ETF (Blue) since 2000. Most stock indices accord greater allocation towards bigger companies and underweight smaller companies. However, studies have shown that smaller sized firms give higher returns than larger cap stocks. This means that a market capitalization weighting method is not optimal. To overcome this issue, all we need to do is to equal weight all the stocks in the index which would then prevent over-allocation towards large caps. In fact, there is an S&P 500 Equal Weight Index and Guggenheim has an ETF that tracks it. The chart showed the returns between the SPDR S&P 500 ETF and Guggehnheim S&P 500 Equal Weight ETF since 2003. There is a clear sign of outperformance when the ETF places more emphasis on the smaller cap stocks. The Momentum Factor entails buying stocks that have gone up in price and shorting stocks that have gone down in price. The finding is that stock prices have momentum and they tend to move in a particular direction for a period of time before reverting to the mean. Strategies that exploit the Momentum Factor have generated excess returns. It is worth taking a closer look. In this example, we used a Russell 1000 index, which consists of the biggest 1000 stocks by market capitalization listed in the U.S. We want to see how the returns could be improved by adding a Momentum Factor to the index. We had a hard time finding a suitable ETF as there is a lack of Momentum ETFs. We settled on the SPDR Russell 1000 Momentum Focus ETF (ONEO). This ETF is not a pure Momentum ETF as the stocks were first selected based on a combination of high value, high quality, and low size characteristics. These stocks were subsequently ranked by the total returns in the past 12 months. Just like our students test scores, the stocks were subjected to a bell curve grading and those that exhibited the highest momentum would be selected as the index components. The ETF manager would mimic these index components in the Fund’s holdings. This Momentum ETF has shown outperformance in this short time-frame (from 2nd Dec 2015) but we will need more proof to convince ourselves that the outperformance can be sustained in the long run. The last Factor which we are exploring in this article is the Low Volatility Factor. Volatility in layman terms means price fluctuations. A stock with large price fluctuations is deemed to be more risky than a stock with a stagnant price. Traditional finance has always associated volatility with risk. Interestingly, evidence has suggested that stocks with low volatility actually provide high returns. This means that low risk comes with high returns! This finding has had academics scratching their heads and has turned the world of finance upside down. We chose the mothership of all indices, the S&P 500, for this comparison. The S&P 500 Low Volatility Index begins the component selection from the S&P 500. In other words, this Low Volatility Index will not consist of any stock outside of the S&P 500 Index. The index provider will use mathematical algorithm to determine the 100 least volatile stocks and designate them as the S&P 500 Low Volatility Index’s components. PowerShares has created an ETF based on the S&P 500 Low Volatility Index. It has kept up with and even outperformed the plain vanilla S&P 500 for most periods over the past 5 years. We have not covered the Fifth Factor which is Quality. At this moment there are numerous disagreements on the definitions of Quality. Many different metrics are put forward and results are mixed. We believe that the factor will continue to evolve and there will be a better time to evaluate Quality in the future. Some of you would also have noticed that the ETFs we have covered are mainly based in the U.S.
Would Smart Beta ETFs work in other countries then? The answer is yes. As shown by various studies, the factors we have discussed are universal and they affect markets worldwide in a similar manner. Unfortunately we do not have enough ETFs and history to prove a case for now. We will endeavour to do so in the future. We are still early in this fund management evolutionary process and we believe there are advantages to reap for the early adopters. If you are keen on investing in ETFs, you might want to consider some of these Smart Beta ETFs which potentially offers higher returns than the mainstream plain vanilla ETFs. By paying passive management fees while getting active returns, you as a Smart Beta ETF investor will be getting the best of both worlds. Quote: Value is mainly defined by low Price-to-Book (PB) ratio. What is mean by low PTB? Common benchmark PTB = 1 is fully value; 1 is overvalue? Why not also include PE ratio and Dividend yield as well?